Back in the 1800s Japan, during the Edo Period, there was a long trade route that went from Edo (present day Tokyo) to Kyoto, called Nakasendou (中山道). This route passed straight through the center of Japan’s mainland and went through 69 different post towns, which were sort of like rest stops for the weary traveler. Today, you can still visit many of these post towns and most of them are still preserved exactly as they were in the 1800s. 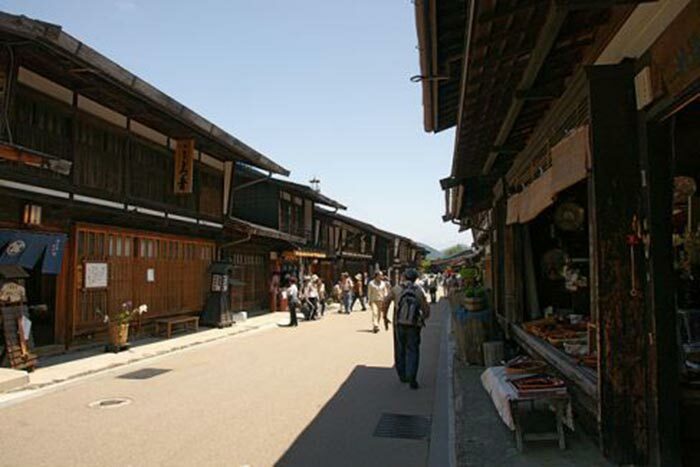 One of the most famous of these towns is Narai-juku. Narai-juku (奈良井宿) is located in Shiojiri-city, Nagano and it is almost the exact halfway point between Tokyo and Kyoto. It is an area easily accessible by train from Tokyo, Nagoya, Nagano and even Kyoto. 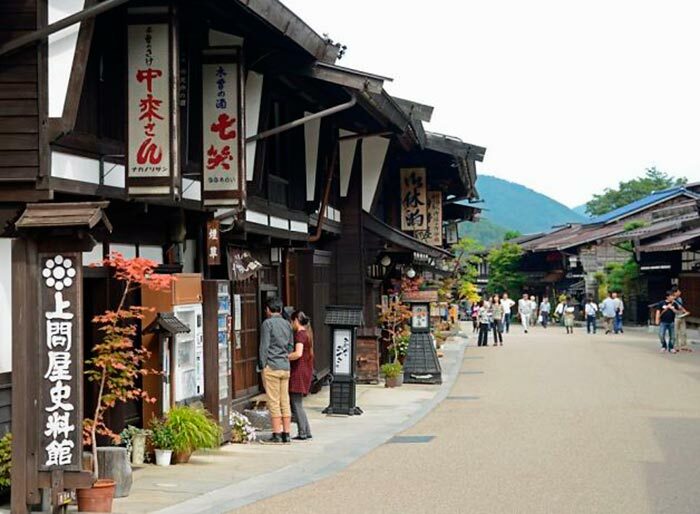 Visiting towns like Narai-juku make you feel as though you’re frozen in time back in olden Japan and are considered national treasures of Japan. Because of the preserved buildings and small traditional alleyways, many movies or drama have often been filmed in these areas. While most travelers start in Tokyo and make their way to Kyoto to see a few temples before they depart, why not consider stopping in one of these preserved post towns for a unique, cultural and historical Japanese experience. Once you’re in Narai-juku, you’ll notice that the locals actually live in the old houses and inns right along the Nakasendo road. There are also many restaurants and souvenir shops now in this area, but most of the goods you can purchase there have been made by the locals living there. Be sure to visit the large wooden sign boards located around the area. Back in the olden days these boards were used for posting local rules and laws for the town residents and travelers. 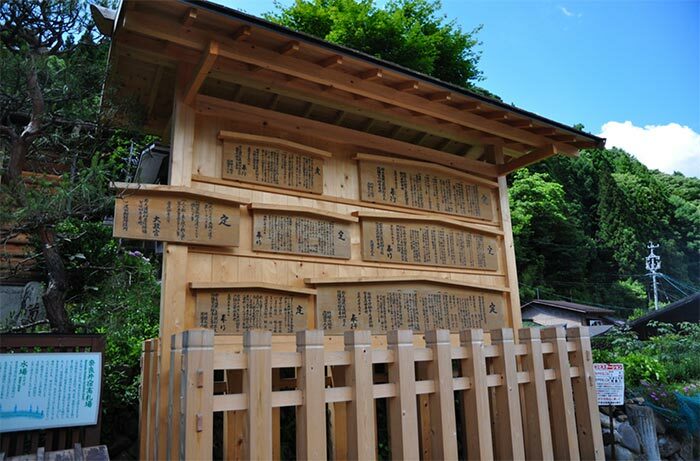 Today there are still some of these rules posted that have been left there from the Edo period. As you can imagine they are quite aged, but it’s still fun to see and read these pieces of history. Narai-juku is beautiful to visit year round, although it can get a bit cold in the winder due to its location in the Japanese Alps. Regardless, it is worth the visit to feel as though you’ve stepped back in time to feudal Japan.